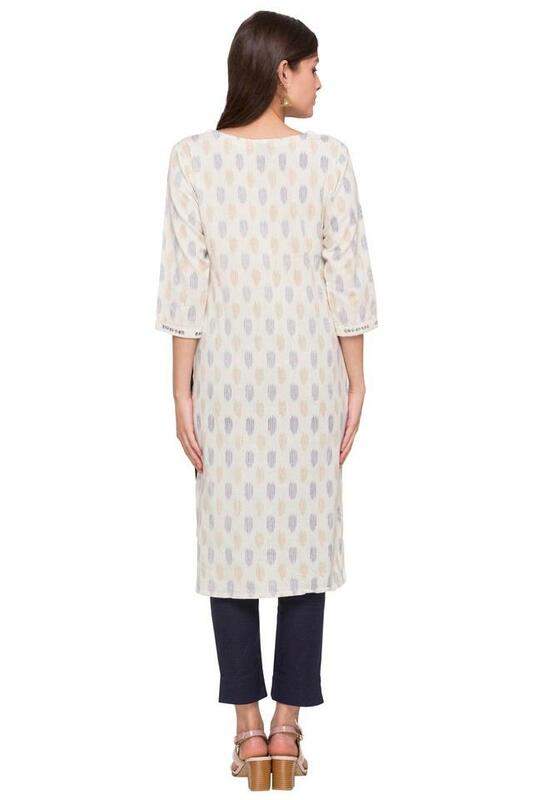 Add to your feminine appeal by wearing this pretty straight kurta from the house of Soch. 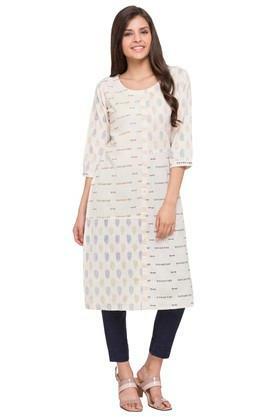 With a lovely printed pattern and round neck, this three quarter sleeves kurta will look great on you. Besides, it has been made from good quality fabric which is convenient to wear. If you prefer wearing ethnic wear, then check out this kurta. Pair this kurta with a pair of simple salwar and contrast color slip-on sandals.